Every piece of plastic ever created still exists somewhere. It's a thought that makes my mind boggle, and palms sweat. Because of this, if I don't have a Keep Cup, I won't have a coffee. If I forget my reusable bag, I'll balance my groceries on top of each other and leave the shop with a precariously balanced pyramid of produce. You'd think someone this pedantic about single-use plastic would have Plastic Free July in the (reusable) bag. But last year I failed the Plastic Free July challenge, miserably – on the very first day. I started my morning the usual way, with a soy flat white in a Keep Cup. A few hours later I ate my lunch, sans plastic packaging. But then 5pm rolled around and I headed to the bar for a Friday night drink. Absorbed in the conversation I was having, I forgot to ask the bartender to hold the straw. Just like that, twelve hours in, I'd failed a month without plastic. From that first evening, my plastic-free failures continued to snowball. Late nights home resulted in purchasing plastic covered lunches at work the following day. Action packed weekends meant my brand-spanking new resolution to only shop from the local bulk store got crossed off my to-do list. I was left feeling defeated and disheartened – plastic was everywhere and it felt like there was nothing I could do to stop it invading my life. But in failing Plastic Free July last year, I gained some insight into the main reasons why I was struggling to go even a day without encountering some form of plastic. If I found this challenge so difficult, surely there were others out there in the same boat. One of the best ways to learn is from our mistakes. So with that in mind, here's what I learned from my (many) slip-ups and failures during last year's Plastic Free July. Australians use more than 3 billion plastic bags and 1 billion coffee cups every year. Items like these are used once for a minuscule amount of time then tossed in landfill. These changes don't sound like much, but if everyone brought their own cup every day we'd be diverting 500 billion disposable cups from landfill. If you've already cut the big four (coffee cups, straws, plastic bottles and bags) from your life, take Plastic Free July as the opportunity to turn things up a notch. Maybe you're a sucker for a 3.30pm snack from the vending machine. You could use this month as a chance to kick the habit, and make yourself some plastic-free treats for when that sugar craving hits. I learned the hard way last year that if you try cut everything that's wrapped in plastic from your life at once you'll only end up frustrated, furiously sipping a gin and tonic through the plastic straw that you forgot to refuse. Start small and work your way up. When Plastic Free July rolled around last year I didn't really think much of it. I try to reduce the amount of single-use plastic I use no matter what the month is, so I assumed this would be no different to any other. I was wrong. Because plastic is so heavily ingrained into our everyday life, to ace this challenge you'll need to invest some quality time in planning and preparing for it. This is the exact opposite of what I did last year, when my month was filled with home delivery, triple wrapped in plastic and cellophane covered sushi on the run. These mistakes can easily be avoided by dedicating some time to preparing for the challenge at the beginning of each week. 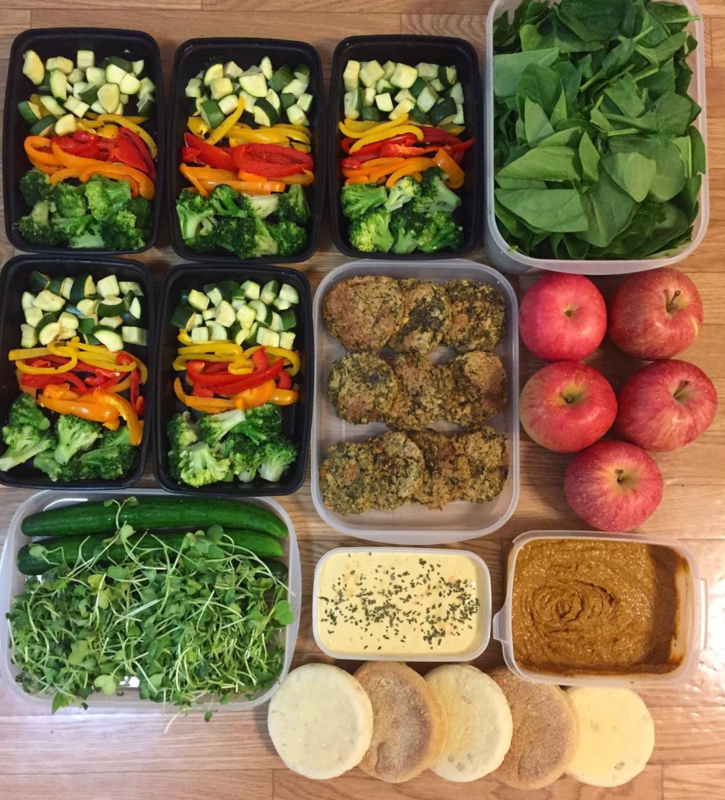 The first of July falls on a Saturday this year, which means if you don't get your act together before this you won't be scrambling to pack a plastic-free lunch five minutes before you head out the door to work on a Monday morning. Make some time to meal-plan for the coming week, write a shopping list and head to your nearest bulk store or farmers market. Invest in some items you'll need to make consuming less plastic easier, like a stainless steel water bottle and cutlery wrap. Sometimes, you've got to say 'no' to be able to say 'yes' to the things that matter. Plastic Free July is a challenge, so by definition you're going to have to make a few sacrifices. My vice is Thai take-away, which usually comes in a plastic container, wrapped in cling-wrap to avoid spills and popped in a plastic bag. 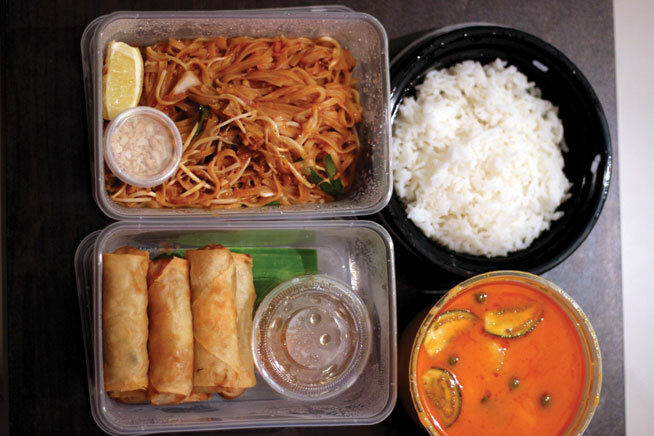 This month, rather than ordering Thai delivery, I'll be making time to eat in or cook at home. More and more businesses are becoming aware of the footprint their operations have on the planet. They're not only tackling the pressures their business puts on the environment, but basing their entire ethos and values around having a positive impact on the planet. 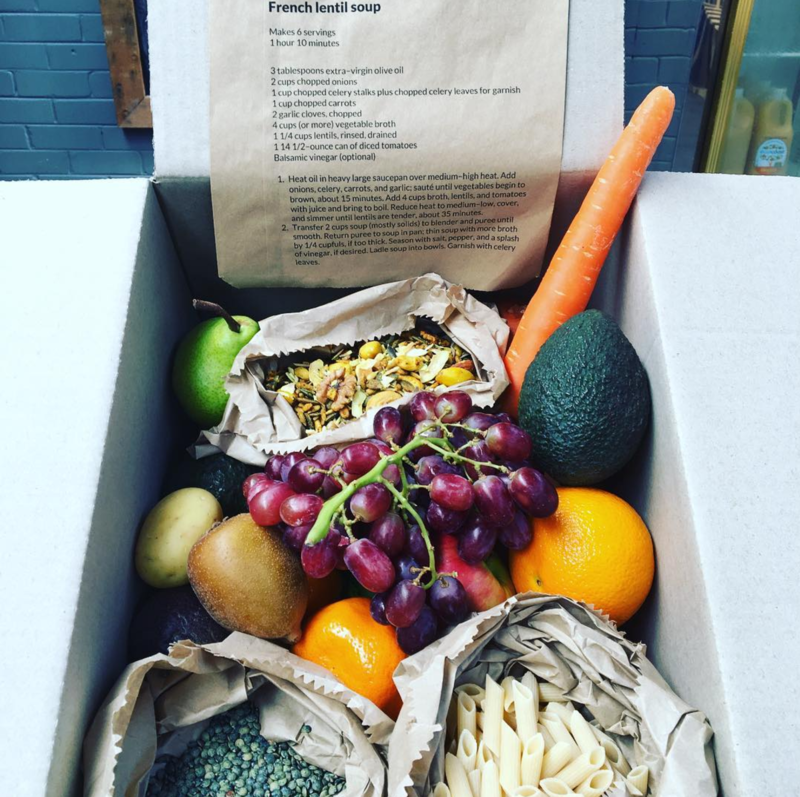 In my area, this organisation delivers plastic free produce to my home every week. Paying for services like this means I don't need to panic if I get home after the bulk-store is shut – my groceries are delivered right to my door. Research (see point number two) what you've got going on in your community that could help you live a life with less plastic and get involved. Walk into any supermarket and you'll see aisles and aisles of plastic covered products. There is so much pressure on the consumer to make the right decision, but it's not fair that all the blame and guilt falls on us if we find ourselves forced to choose a product in plastic packaging. If you slip up, don't throw the towel in and give up. Think about the situation and how you can avoid it next time. Plastic is everywhere (sometimes even parading itself as 'environmentally friendly') and using it is sometimes unavoidable. Most importantly, this challenge is about learning and understanding our own individual habits and how we can each change them for the better. Do this, and you're guaranteed not to fail. Harriet Spark is a dive instructor turned graphic designer. Passionate about conservation through creative communication, you'll find her either underwater or above sea level, designing for change. You can follow Harriet's adventures on Instagram.